Something funny is going on in Sunzhuang village. Located in Shangcai county, Central China's Henan Province, the village recently became eligible for poverty alleviation funds from the county to help build up its infrastructure. But residents are far from poor, and visibly so. "They have cars and have built nice houses, and every family has around 10 million yuan ($1.5 million) in cash," a local taxi driver told The Beijing News. What is not so obvious is that the village is a den for con artists. 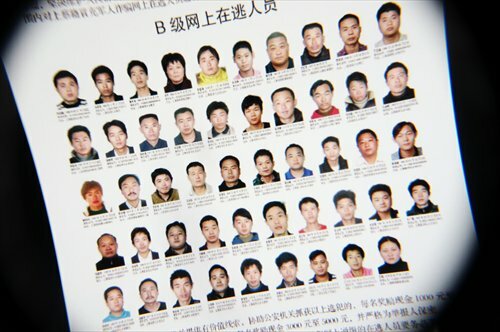 According to data from the Public Security Bureau of Shangcai County, Sunzhuang and neighboring Chongli village are home to 113 people suspected of running nationwide fraud operations. For a county with a population of 1 million, this is a staggering number, but not as much as the millions of yuan these operations take in annually from unsuspecting victims across the country. In the face of pleas from law enforcement for more robust investigations, local officials are set on striking at what they feel is the root of crimes like fraud - poverty. "The reason why Sunzhuang county received the money is because the local government wants to eliminate poverty, something that breeds crime such as fraud," said Yue Qiang, a cadre in Sunzhuang. Both Chongli and Sunzhuang have a history of residents accused of fraud stretching back to the 1990s. As township enterprises struggled to adapt while China's transitioned to an open market economy, some residents found ways to make money by borrowing a little credibility from the military. Posing as PLA soldiers in full uniform, con artists would peddle products to local store owners and residents claiming they were either army surplus, such as rations, or items popular among troops. The con was convincing enough to be lucrative, especially since some involved had at one time or another served in the army. "This would include anything from foods, tools, and even arms like military-issue knives," he added. Shop owners were cautious at first. In order to win them over, plants would visit the shops to ask for the products by name until the owners, believing there was honest demand, would place an order. But as soon as an up-front payment for a big order came, the solider salesmen would disappear, locals told The Beijing News. In 1998, to curb the rampant cons, then President Jiang Zemin forbid PLA personnel from engaging in business. But the solider scammers simply moved from the frontlines to the phone lines. Local police told The Beijing News that the same con is being run over the phone; sellers posing as military personnel call business owners with tempting deals on popular army-issued products. Village cadre Yue said the reason why this con persists is poverty. "Here we have no mining or other industry, so people turn to agriculture. But if they can get rich quick by swindling, many will choose to do that instead," said Yue. Another problem is that punishments are too lenient when compared to the promised returns. "If I do 10 cases and earn 500,000 yuan, and only one victim sues me, I'll return the 50 grand he's out and get two years in jail," said Sun Qiang, an ex-con artist who was arrested while making an ATM withdrawal in his part of the scam. "But I've still earned 450,000 in two years, it's a very good deal," he added. Local police acknowledge the problem. "The penalty for the crime is too low, so many criminals do the time and then become repeat offenders," said one officer. But according to local law enforcement, officers are not properly equipped to fight back. Another police officer told The Beijing News that while arrests are made during physical pickups of cash, the main suspects and ringleaders are operating behind phone lines and therefore difficult to track. "Even I don't know who the ringleader is," said Sun. Law enforcement officers said they lack the proper relationships with telecoms and banks to aid them in investigations. "It is difficult to cooperate with these sectors," said a local officer, adding, "this takes a lot of time, and these are time-sensitive cases." Despite these concerns, local government official have decided on taking a different approach. Sunzhuang village cadre Yue explained he hopes to rid the area of fraud crimes by investing in community infrastructure. Specifically, allocating 400,000 yuan earmarked for poverty alleviation to repair the local pond and build amenities such as basketball courts and a "cultural center." How this approach will work remains to be seen.